Pinion Press/Removal Tool and a 4 piece Screwdriver Set comprising a Philips PH0, Torx T6, Hex 1.3 x 50 and Hex M2 (0.95). Pinion Press/Removal Tool and Screwdrivers set. 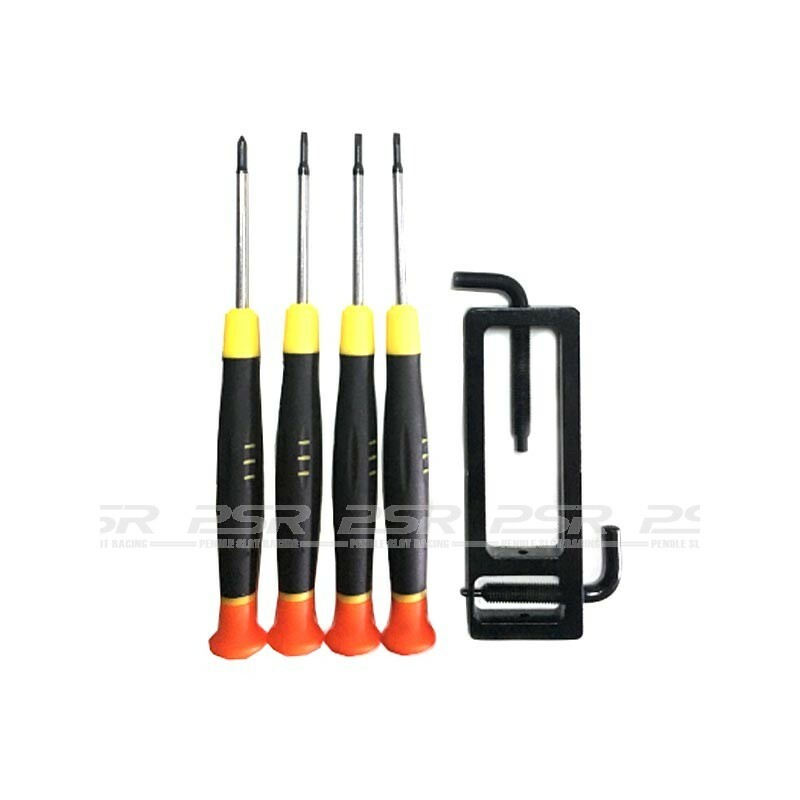 This tool set is aimed at the slot car enthusiast who wishes to maintain or modify their cars. 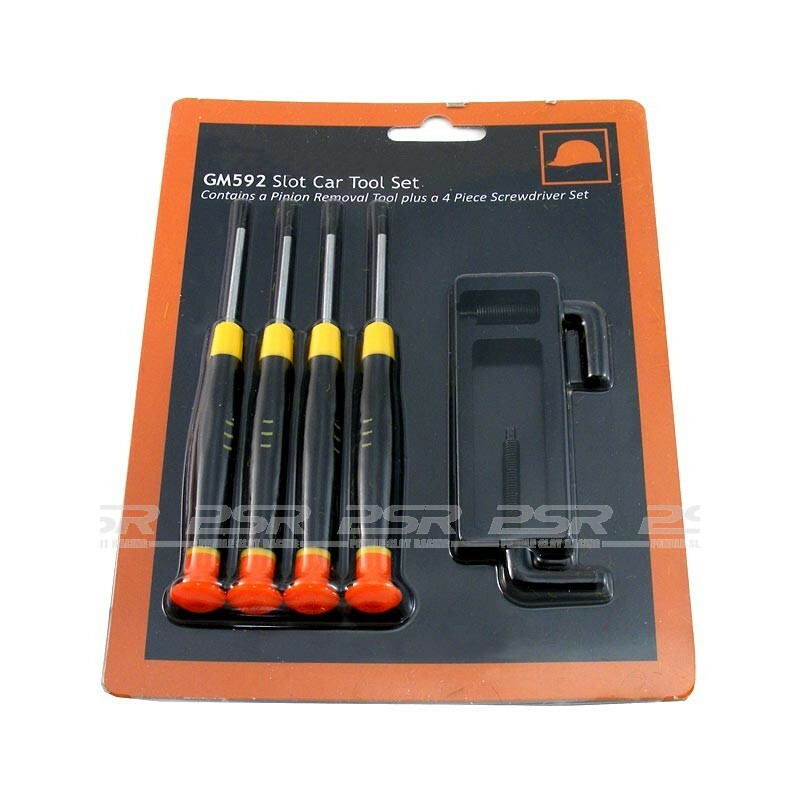 The set contains not only a Pinion Press/Removal Tool, which allows one to remove and replace the motor pinion (2mm internal size) from most makes of slot car motor, but also a set of specific drivers. Pinion Press/Removal Tool - No slot car racer should be with out one of these! 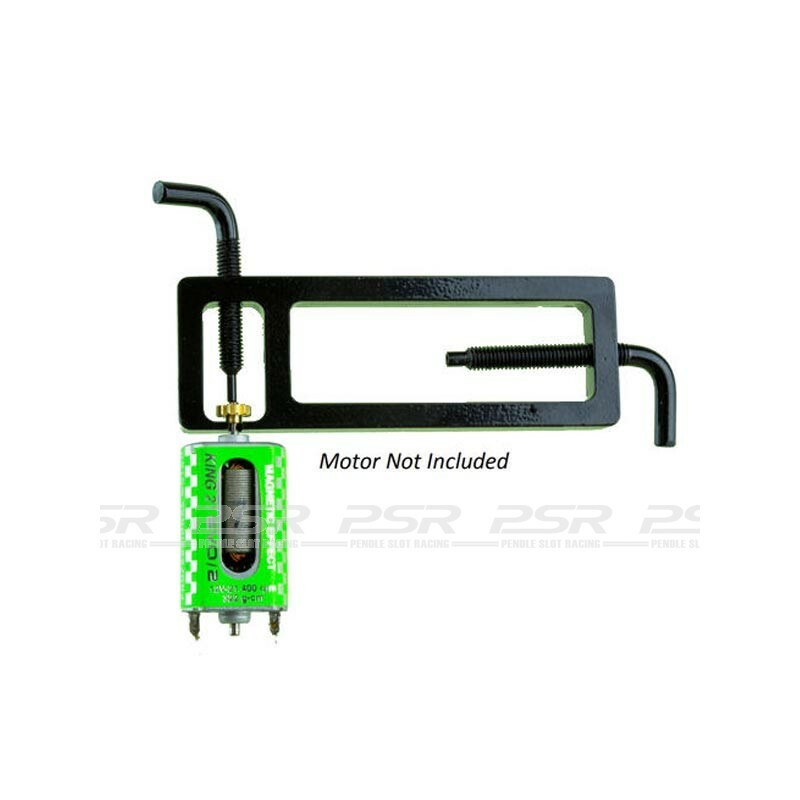 This tool allows the simple removal and replacement of the pinion gear from the motor shaft. So whether you are changing your gear ratio or replacing a worn out pinion, you now have the means to do this safely without causing damage to the motor itself. The tool comes in a black anodized finish and features hardened tips on the tools shaft ends. This pack also includes a set of specific drivers. This includes a Philips PH0 crosshead screwdriver for general use such as chassis screw removal, a Torx T6 Hex driver (now used by some manufacturers for chassis and motor pod adjustment) and a pair of Allen key headed drivers in the popular 1.3 x 50 Hex and M2 (0.95) sizes. A very useful addition to any slot enthusiasts tool box, and great value.